More than $50,000 have been raised to assist the family of a United States Baptist missionary murdered this week in Cameroon. Charles Wesco was shot in the head and killed on Tuesday in front of his wife, Stephanie, and one of his eight children as they were driving in Cameroon's northwest English-speaking region. The murder came just about two weeks after the family moved to Cameroon after selling off their possessions in the United States. The Wescos were sent to the African nation earlier this month as missionaries from Believers Baptist Church in Warsaw, Indiana and were on the way to go shopping near the town of Bamenda when bullets struck their vehicle and Wesco. As the news of Wesco's death has been covered in the national media and drew a statement from Indiana Gov. 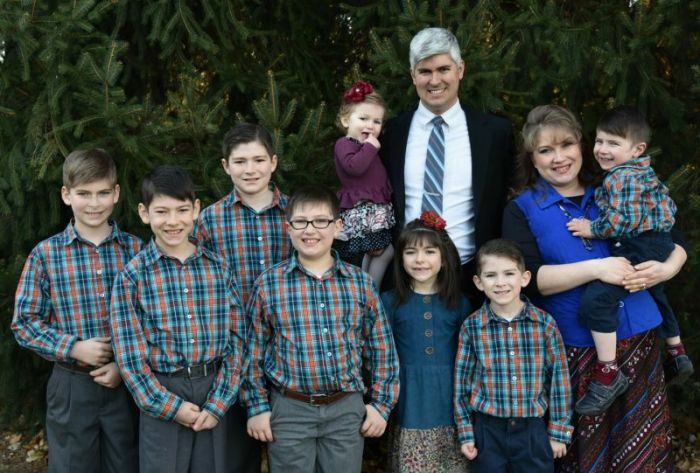 Eric Holcomb, a fundraising team has launched a GoFundMe online crowdfunding webpage as Stephanie Wesco is now tasked with the challenge of raising her eight young children as a widowed mother. "My Precious husband, Charles, is now with the Savior he adored and faithfully served for many years," Stephanie Wesco was quoted as posting online, according to GoFundMe. "His life focus was seeking to cause others to love Jesus and serve him. My prayer is that somehow someway Jesus will be glorified through my Precious Charles' death and that God will not let his death have been in vain. He is receiving the Martyrs crown from his Lord. My heart is broken. I want to wake up from a horrific nightmare. Please pray for us." The funds will assist the family in their travel back from Cameroon and living expenses. The family will also have many needs upon returning to the states because the family sold "all of their possessions" before going to Africa on the extended missions trip. In just over a day, the GoFundMe page has raised over $54,500 from over 700 donors, as of Thursday afternoon. The goal for the Wesco fundraiser was initially set at $50,000 but has since been extended to $100,000. "We are just now discovering some of the costs associated with simply transporting the family and the body back to the U.S., and it is staggering," an update to the account states. "When we set the goal at 50,000 we had no idea of the actual costs of anything the family needed, merely estimates." According to the update, Stephanie Wesco and her children are still in Cameroon awaiting "further developments." "We are thankful for the Lord getting us safely to a missionary friend's home in the French region," Stephanie Wesco was quoted as saying. "It broke our hearts to leave the people we love so much, but [we] know the Lord is watching over them. Praying we can get tickets soon." There has been increased conflict in Cameroon's English-speaking regions as separatists are fighting to break away from the central government, which is largely controlled by French speakers who are accused of marginalizing the Anglophone community. As violence has escalated in the last two years, thousands have been killed, hundreds of villages have been destroyed and hundreds of thousands have fled the region. On Wednesday, Cameroonian Defense Minister Joseph Beti Assomo blamed four "terrorists" for the murder and added that authorities engaged the group of terrorists in a gunfight, killing four militants. However, some separatist supporters on social media accused the Cameroonian army of being behind the killing. State Department Spokesperson Robert Palladino said on Wednesday that based on information made available by senior Cameroonian officials, it appears as though Wesco "was caught in crossfire." "Both separatist fighters and government security forces have used violence against innocent civilians," Palladino said in a press briefing. "We call on both sides to view the tragic death of this American citizen to put an immediate stop to violence and to allow unhindered access to humanitarian aid workers and health care providers." Assomo has also warned foreign nationals about the dangers of traveling to the conflicted English-speaking regions. "If you must be there, immediately inform the military so we can assure your safety," Assomo said Wednesday.